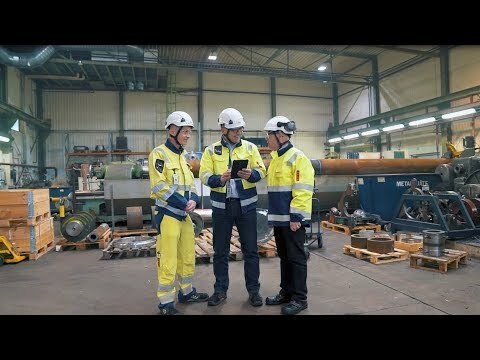 Service company Empower Oyj has developed an active work safety application that is meant to be used at workshops to tag people and moving equipment. The application is called EmSafe and it prevents accident by predicting collisions before they happen. 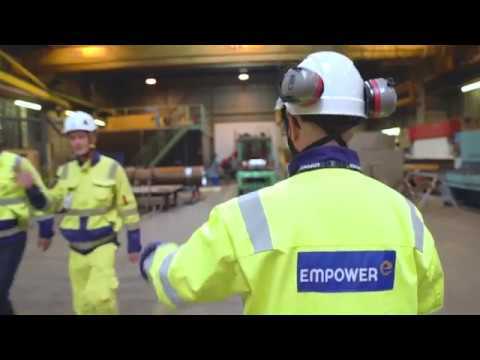 Empower designed the software for EmSafe, but they needed someone to provide the positioning technology itself. This is where Quuppa came in. The initial idea about EmSafe arose when an employee of Empower’s client died because he was run over by a heavy machine. “That started a discussion on what we could do to improve work safety. What we found out was that trying to predict how people and machinery move is one way to reduce the number of accidents”, says Empower’s Director of Digital Services and IoT Stefan Wiklund. “I’d say typical places where Emsafe is used are mechanical workshops where people and machines work together. It makes people directly and indirectly more aware of the dangers and hazards in these environments”, he continues. After Empower decided to put EmSafe into production, they started to look for different providers of positioning technology, Quuppa was the one that stood out. “We searched for a technology that would meet our strict requirements and quite soon ran into Quuppa. They provide positioning technology that is very accurate so you can determine where people and machinery are very precisely”, tells Wiklund. “Quuppa also had a very professional attitude. They were very agile and listened to our wishes carefully”, he continues. Because the partnership has gone so well, it’s easy to recommend Quuppa’s services to others as well. Empower has been especially pleased with Quuppa’s ability and will to solve any problems that have come up. “I think Quuppa’s employees listen and are willing to solve our problems quickly and reliably. They are also very interested in knowing how we want the technology developed in the future”, says Wiklund. “If I was to summarize the cooperation we have had with Quuppa, I think the words to use would be professional and efficient”, he concludes.